Join professional users from around the world who trust Sennheiser’s superior stage technology in every field of audio production. 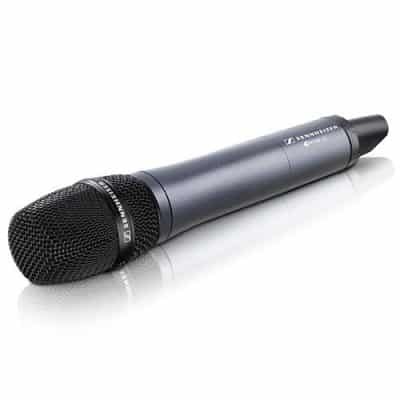 Renowned for their no-compromise sound quality, dependability, and stability, Sennheiser radio microphones are trusted in the world’s leading musical and theatrical audio environments. When hiring wireless radio mics for theatrical productions, debates, presentation and musical performance then look no further. Configurable with up to 28 transmitter & receiver systems. 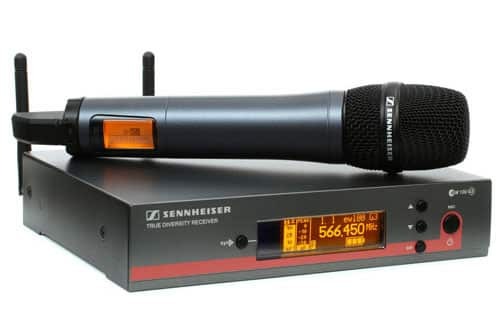 Hire Sennheiser G3 EW100 wireless radio microphones. Renowned for their no-compromise sound quality, dependability, and stability, Sennheiser’s G3 EW100 radio systems are trusted in the world’s leading musical and theatrical audio environment. 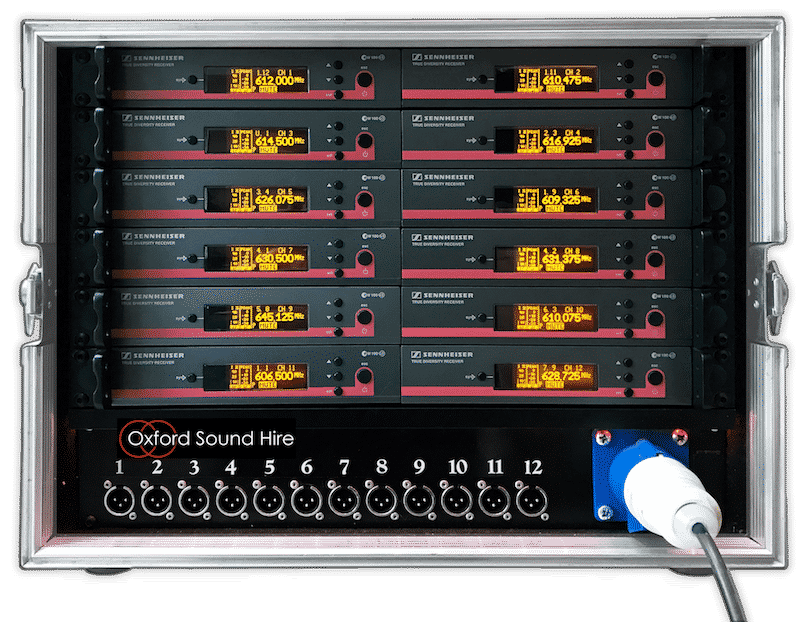 Oxford Sound hire offer up to 24 channels of evolution wireless G3 EW100 G3 Tx and Rx, within full multichannel Sennheiser UHF wireless microphone systems. The EM100 is a rugged rack receiver utilising True Diversity for optimum reception. 42 MHz bandwidth with 1680 tunable UHF frequencies. 20 frequency banks with 12 preset frequencies, plus a user-programmable bank. 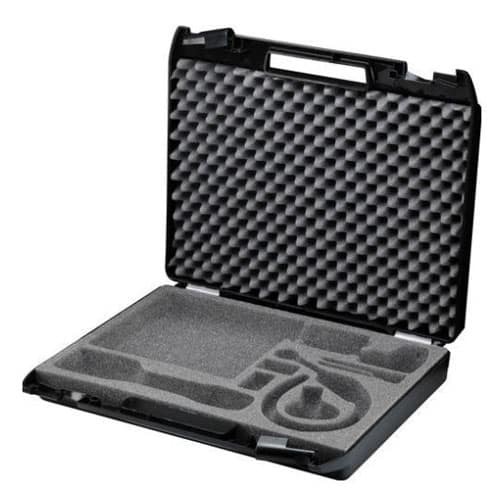 Combine handheld dynamic, headset condenser and lapel mics in any system. 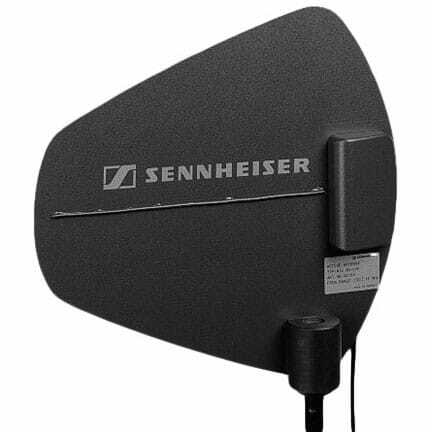 Why hire Sennheiser wireless UHF radio mics? Sennheiser G3 EW100 radio microphones offer superb performance and sound quality. Order up to 24-channels at the best prices found anywhere online. Hiring any combination of microphone solution is easy using Oxford Sound Hire’s online wireless mic ordering tool. To begin, decide which microphones will suit your production. Then, select either handheld radio mics, headset mics (supplied complete with belt-pack transmitter), or lapel/tie clip mics. Select and combine any number of each type of mic for a complete, flexible system. To reserve, add any number of each microphone to your order and complete checkout. It’s that easy! 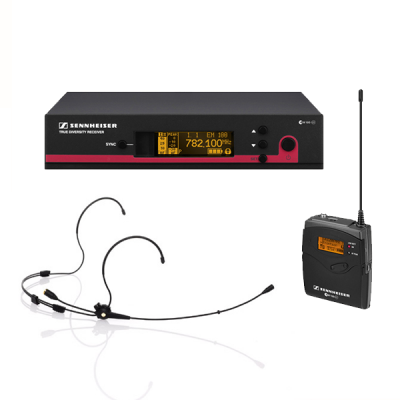 Sennheiser wireless microphone systems are professional quality wireless microphones with modern, easy to use wireless receivers. Sound engineers and audio professionals from across the globe trust the rugged build quality, great battery life and rock-solid dependability of Sennheiser’s wireless and radio equipment. Order today! Oxford Sound Hire offer unbeatable reductions on up to 24 channel, fully licensed radio microphone systems. When you’re searching for wireless mic hire for use as roving mics, or audience microphones, then look no further for radio microphone hire in the UK.